Well before they begin kindergarten, children begin to engage with the world. They love learning, exploring, making friends, and discovering new things. And while it’s important to help them learn and prepare for grade school, it’s equally important to recognize that they’re still kids. 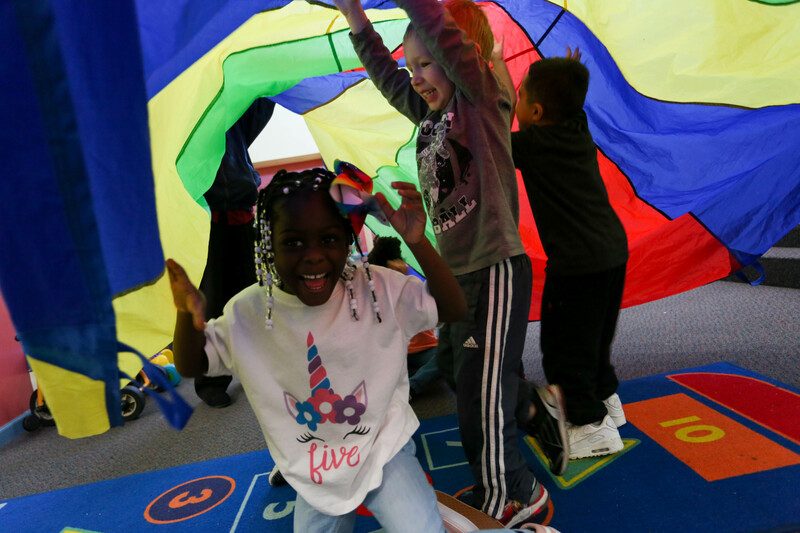 Children’s Village emphasizes a play-based curriculum for pre-k children that gives them the freedom to develop confidence and self-esteem as they explore. Classrooms are fully stocked with age-appropriate toys, puzzles, books, and activities. In addition to leading large-group activities, our teachers also take time to work with small groups and individual children. Most important, we know every child is different; there is no “one-size-fits-all” approach to education. Our curriculum is adaptable to serve children who are ahead, as well as those who need a little extra support. Your child’s teacher will also communicate regularly with you to ensure you’re able to build on classroom skills at home. You can even see what’s happening in your child’s class in real time with our online parent-teacher communication system. If you’re ready to enroll, or you’d just like to learn more about Children’s Village, we want to hear from you. Contact us today.